Summer is in full swing here on Cape Cod! 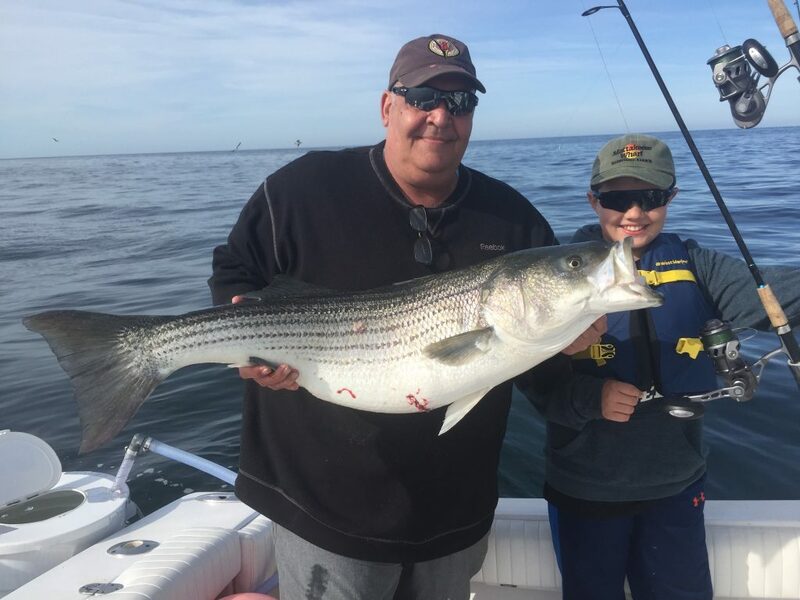 The big Striped Bass have been feeding all over Cape Cod Bay from Barnstable to Provincetown. They are starting their annual migration into the cooler waters of the north Atlantic on the “backside” of the Cape. Great casting opportunities with top water plugs combined with an abundance of mackerel for live bait fishing ensure an action-packed day on the water. Expect these big stripers to move into the rips off Monomoy within the next two weeks and show up east of Chatham shortly thereafter. 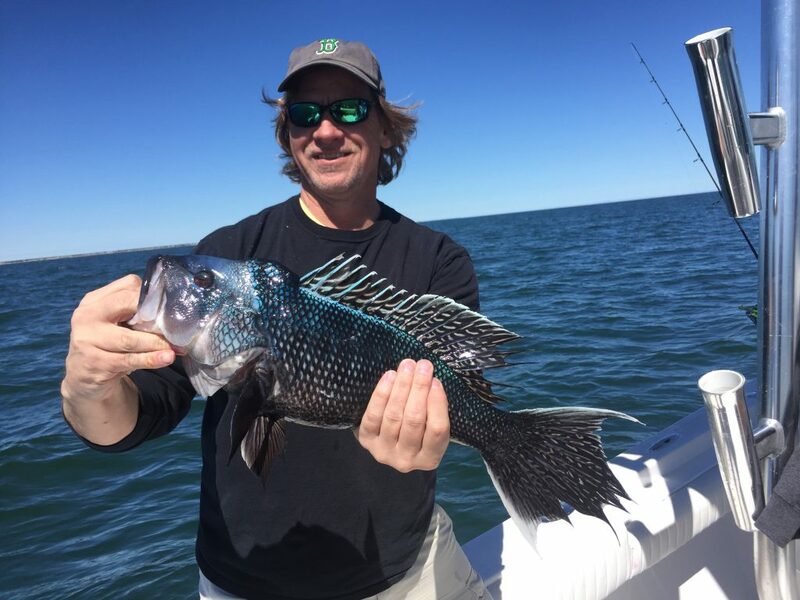 The Black Sea Bass fishing is still on fire in Nantucket Sound, with many fish in the 5 to 6 pound range and nonstop action the order of the day. 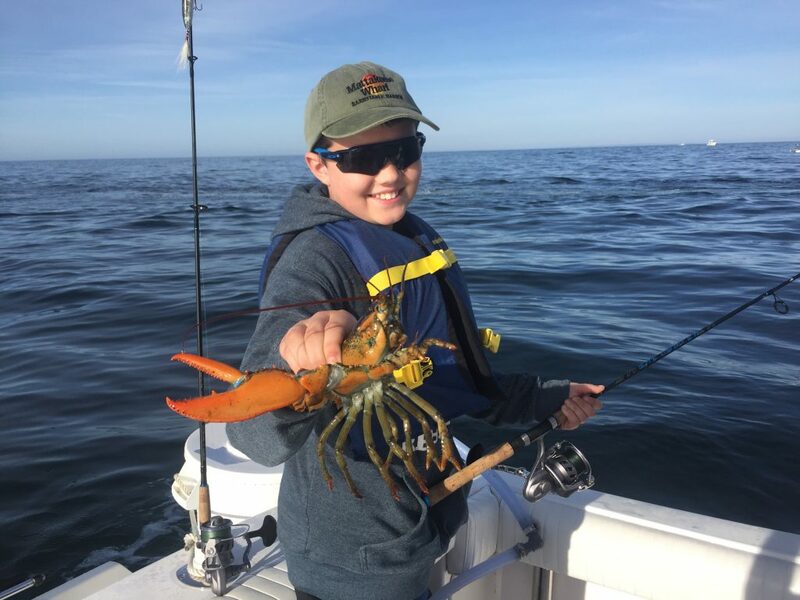 The larger Black Sea Bass will move into deeper water spots farther off shore as the season goes on, so now is the time to find them with an ultra short boat ride. A four hour trip is plenty of time to ensure a tasty limit of these northern members of the grouper family. Bluefin Tuna season opened with a bang on June 1 with lots of fish in the 65 to 75 inch range. Strong winds that have been limiting tuna opportunities recently are forecast to mellow. A shot at these super predators with the light spinning or trolling gear is an incredible experience not to be missed. 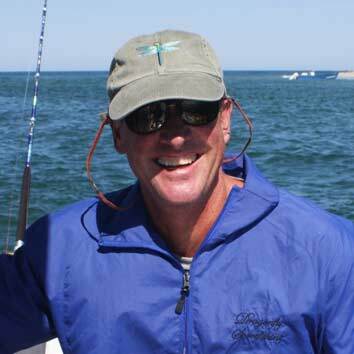 Check out Cedric’s video on the Dragonfly Sportfishing homepage to get the feel of the run and gun excitement! I have dates available for half-day and full day trips. Give me a call at 774-212-0712 and we will secure your spot on the calendar. I look forward to getting out on the water with you!